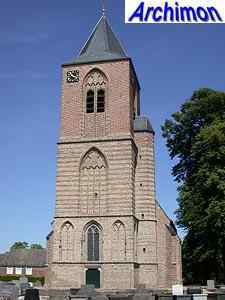 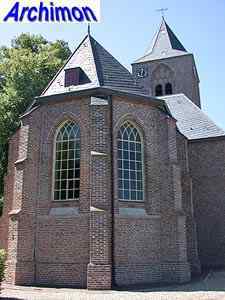 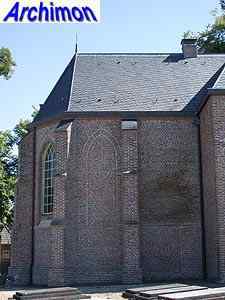 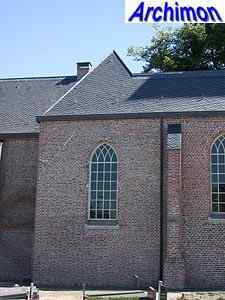 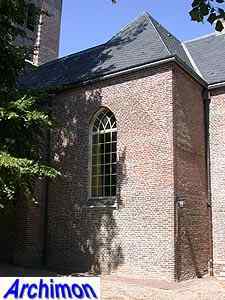 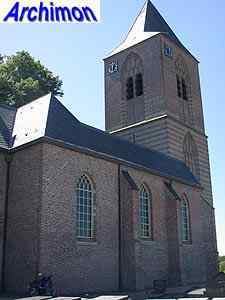 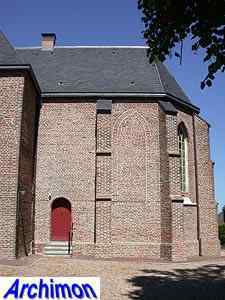 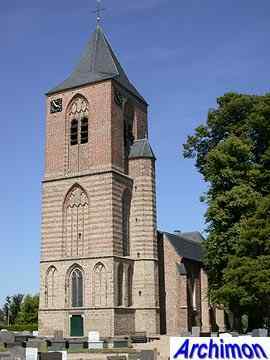 The reformed church of Herveld was orginally built as a pseudo-basilica in ca. 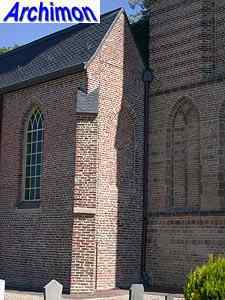 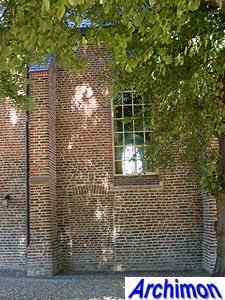 1300 and replaced a smaller tuff building, parts of which were possibly incorporated. 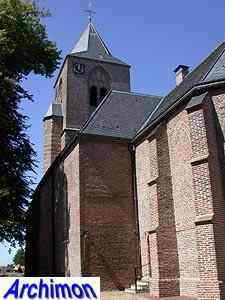 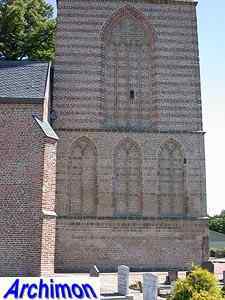 Later in the 14th century a transept was added. 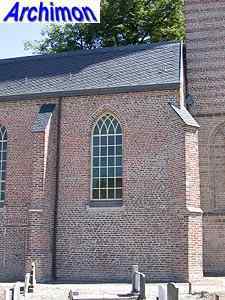 The choir was built in ca. 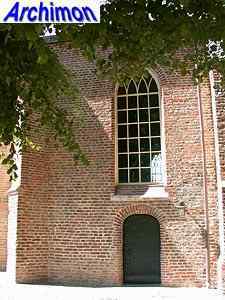 1400. 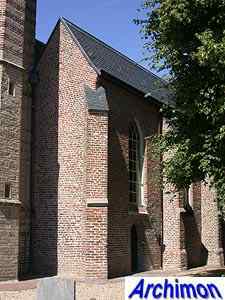 In the 15th century the side-aisles and the transept were heightened to the same level as the nave, transforming the church into a hall-church. 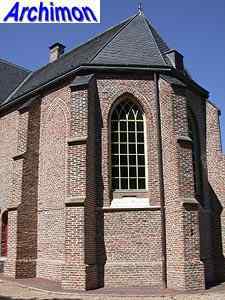 The former transept now had become the eastern trave of the side-aisles but kept its seperate roof, thus revealing its original purpose. 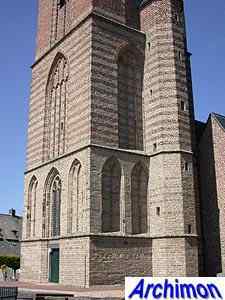 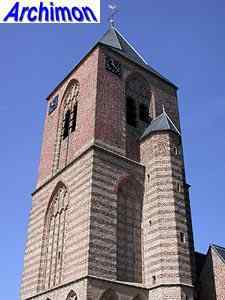 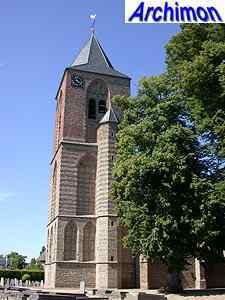 The tower was built at the end of the 15th century and is decorated with layers of tuff and the hollow niches that are typical for Lower Rhine Gothic.